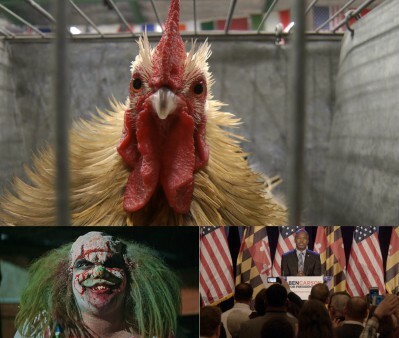 What do chicken pageants, a haunted asylum and Ben Carson have in common? They’re all the subjects of documentaries at Hot Docs Canadian International Documentary Festival, of course! April is just around the corner and it’s almost time to immerse ourselves in thought-provoking and entertaining documentaries once again. Touchwood PR is handling the following documentaries at Hot Docs 2017! Vastly different but all offering an in-depth insiders look into the lives of the subjects, these documentaries are a great way for audiences to learn more about the world around them. Tickets go quickly, so be sure to pick yours up now at hotdocs.ca! Move over Westminster Kennel Club, there’s a new dog in town: chickens. Competitive poultry pageantry is not only a highly entertaining hobby—it’s an obsession. For members of Christchurch Poultry, Bantam and Pigeon Club in New Zealand, it’s also way of life. Senior member Beth Inwood and president Doug Bain have tasted the glory of raising perfect rosecomb cockerels and rumpless pullets, while newbie teenagers Rhys Lilley and Sarah Bunton enjoy the good clean (sort of) fun. But feathers start to fly when infighting breaks out in the club during the run-up to the 2015 National Poultry Show. Egos start clucking and tempers peck, bringing 148 years of club pride and tradition to the cracking point. As energetic as any sport film and as comedic as you’d imagine Best in Show chicken pageantry to be, Pecking Order serves up an endearing look at poultry passion. If you’ve ever wondered how Jesus would run a ground campaign, look no further than Dr. Ben Carson’s bid for the 2016 Republican presidential nomination. Filmmaker Luke Walker embeds with two fundraising political action committees, or super PACs, that back the celebrity African-American neurosurgeon to run. Millions are raised and a seldom seen base is mobilized. Armed with copies of the TV movie of Carson’s life, believers host movie nights in bars and churches, while phone and Internet prayer teams ask God to remove the media’s liberal bias. But when Carson’s political inexperience and speaking gaffes trip up his near-instant lead, the wheels come off. Incredible access to the super PAC power brokers reveal how the Christian conservative right is co-opted by Republican candidates, leaving the field wide open for a different scandal-plagued celebrity to seize power. Hot Docs Canadian International Documentary Festival run from April 27 – May 7, 2017. See you at the festival!